Cesky Terriers may be small, but they are excellent guard dogs. The Cesky Terrier, sometimes called the Bohemian or Czech Terrier, is a small, muscular hunting dog originating from the Czech Republic, where these dogs are considered to be a national breed. The Cesky Terrier has short legs on a long body and high, triangular ears. The head is wedge-shaped and features bushy eyebrows and a beard. 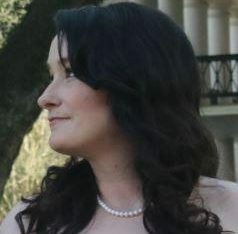 The nose is either black or liver-colored, depending on the dog’s coat. The almond-shaped eyes are shades of brown. The coat is long, silky and wavy. Coat colors can change as the dog ages. Black, brown or black and tan coats may be seen on puppies, and after a few years, the coat changes to gray. Markings may remain in colors of black, white, brown or yellow. The tail may also be tipped with color. 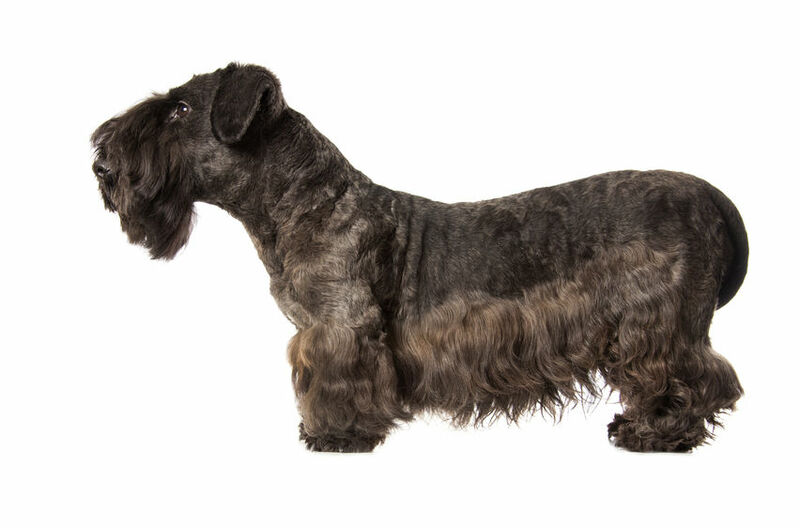 Frantisek Horak created the Cesky Terrier by combining Scottish Terrier and Sealyham Terrier breeds to make an improved hunting dog, one with a smaller chest so she could hunt in burrows. She also bred for a darker color, dropped ears, longer legs, a softer coat and a more focused hunting ability. Recognized in Europe in 1963, Cesky Terriers soon after became popular in England, Canada, Australia and the United States. A Sealyham Terrier was bred into the Cesky bloodline around 1984 because the gene pool was too limited. The American Kennel Club added the breed to its Foundation Stock Service in 1996 and later approved the breed’s addition to the Terrier Group in 2011. Cesky Terriers were created by a horse breeder. Cesky Terriers are companion pets and may also participate in conformation, hunting and guarding. They are known as patient, playful, brave, loyal, obedient, intelligent and sociable. These dogs love people and children but can be reserved with strangers. Cesky Terriers require socialization and consistent training to avoid negative behaviors. They get along with other animals but should be supervised around smaller animals because of their hunting instincts. Cesky Terriers travel well and make excellent guard dogs. HIGH: This breed loves to run and play and needs daily walks. Cesky Terriers like to dig, so ensure a place is created for this purpose and that all spaces under fencing are secure. They are active indoors and do well in apartments with daily outings, but a yard would be appreciated. HIGH: The coat needs brushing several times per week — to prevent matting — and needs trimming at least 4 times per year. Those participating in conformation need to be trimmed with electric clippers much more often. Excess hair between the paw pads and inside the ear canal should also be trimmed. As with any dog breed, for the Cesky, the nails need to be cut, ears need to be checked and teeth should be cleaned regularly. LOW: The Cesky Terrier is a very healthy breed. The only notable health concerns for this breed are cerebellar abiotrophy (CA) and Scottie cramp, also known as wobbly Scottie. CA is a hereditary disease in which brain cells in the cerebellum are prematurely lost, and this causes the loss of coordinated movement. Scottie cramp is often confused with CA — it occurs when serotonin is either too high or too low, and the condition is hereditary. A veterinarian must determine which ailment is present in the dog because the symptoms are similar. 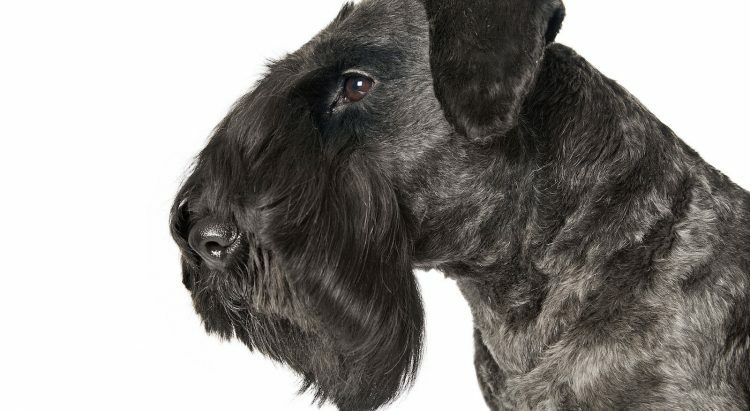 If you can commit to the grooming and exercise requirements of this breed, and are looking for a dedicated companion pet, the Cesky Terrier is a wise choice. Cesky Terriers, though not common, can still end up in shelters or rescues. Look there first, or try our adoptable dog search. If you contact breeders, get to know them and stay aware of the warning signs of a puppy mill.